This summer I was invited to the Mendocino Writers Conference, where at the opening reception in downtown Mendocino (where one can’t help but evoke Jessica Fletcher of Murder, She Wrote) each presenter was asked to come to the microphone to share their best piece of writing advice. I was inspired by what people chose to impart, but more important, I was moved by how each person remembered who had imparted the advice, and how, in effect, that person’s wisdom lived on, carried along by the group share in the tradition of storytelling as it’s existed for thousands of years. It’s occurred to me since that good advice can only come from the heart, and its staying power is serious business. My own best piece of advice came from my friend, the poet and author Mark Nepo, in the form of a personal share, where he was teaching without even realizing he was doing so (which is very much his style). I’ve since shared his words in so many situations because they moved me. 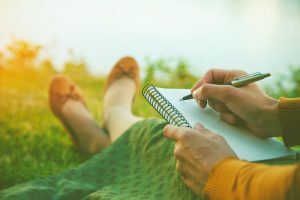 He said, in mulling over his own recent fame and attention for his writing, “I’m so glad I kept writing when no one was listening.” To me, this reflection was a lesson for others—that we can pressure test our own reasons for showing up to what we do for the quiet gifts, and not just for what we hope is on the other side. 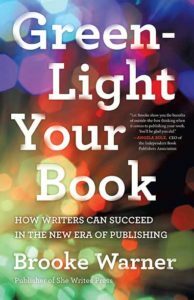 Yes, we all want attention for our writing, but would you do it—and be glad about it—if you were never noticed? Or if you knew you’d never be noticed? It’s a question every writer should ask themselves. Grace Paley used to tell me that she wrote in the bathtub. When I was her student, I thought this meant she wrote in the bath. Years later, I realized that it was great advice about knowing when to step away from the desk and dream. I have these words taped to my bulletin board: “If you don’t put it in, you can’t take it out.” It’s such a freeing statement: you have to put the words on the page in order to shape them, or change them, or remove them. You have to write your way into the story, knowing that mostly you’re going to fail to get your vision on the page. For a while, at least. Finding the right teacher or editor is often as much a matter of simpatico as it is of your “talent.” Realize that every writing teacher (or editor) is different and has different taste. Don’t be discouraged when one just doesn’t seem to get what you do. When you find someone who clicks in to you, your voice, your mission—stick with that person. He or she will help you do your best work. Writing is a solo act, but publishing requires a full cast. Paraphrasing Karen Joy Fowler: If someone gives you feedback, think about it carefully but if you don’t agree, don’t change anything just to please someone else. Courage, always courage—writing anything is like opening yourself up to criticism, comment—you must have courage to believe in yourself and your right to write. Learn to tell the difference between reasonable, if critical assessment of your work and the nasty, shaming voice of a destructive inner or outer critic. One is there to help. The other will only discourage. The best advice I ever received came from the Jungian analyst Helen Luke. I knew Helen during the last two years of her life, and during what turned out to be our last conversation, she said to me, “Yours is to live it, not to reveal it.” This troubled me, for I have spent my life becoming a writer, thinking that my job has been just that—to reveal what is essential and hidden. In the time since Helen died, I’ve come to understand her last instruction as an invitation to shed any grand purpose, no matter how devoted we may be to what we are doing. She wasn’t telling me to stop writing, but to stop striving to be important. She was inviting me to stop recording the poetry of life and to enter the poetry of life. I’ve learned that this applies to us all. This remembrance of course exemplifies how others’ advice gets integrated, becoming part of us when it truly resonates. We digest it and metabolize it and make it our own. Mark may never have expressed to me his sentiment that he was glad he was writing when no one was listening if Helen’s words hadn’t so touched his heart, had he not listened to what she said and taken her words to heart, entering into the poetry of life for the love of poetry, and not only to become the famous poet he would (unbeknownst to him at the time) later become. What’s the best advice you’ve received? Share it here and let’s add to this beautiful tapestry.